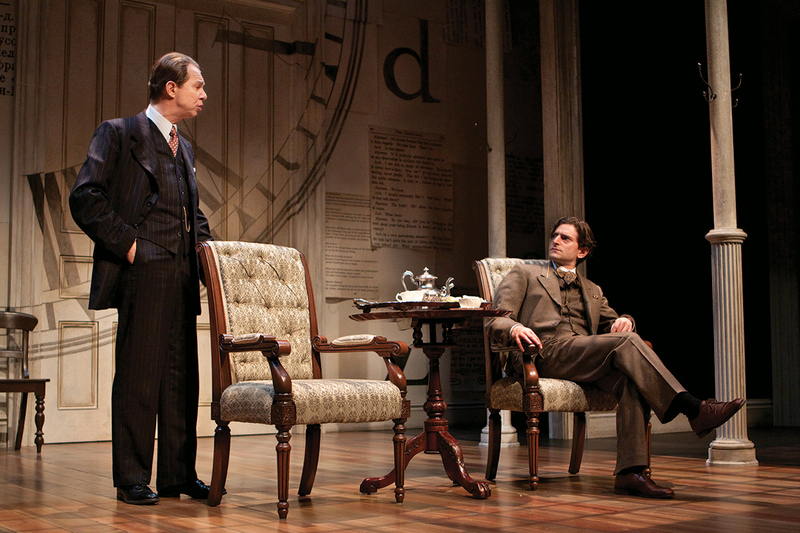 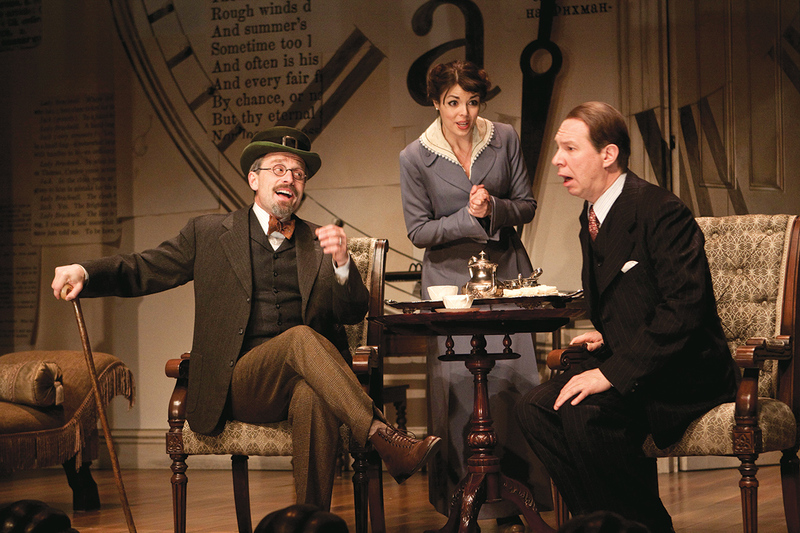 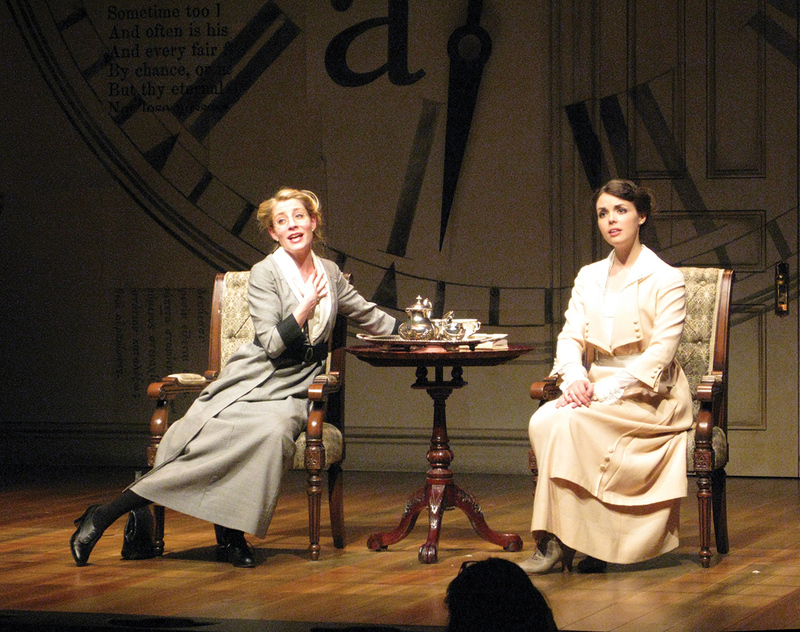 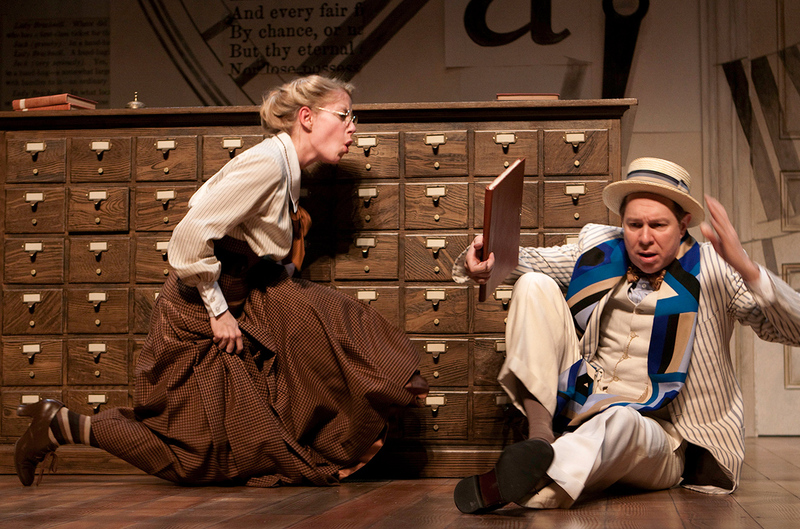 Set and costumes for Soulpepper Theatre Company, 2009, directed by Joseph Ziegler, production photography by Scott McKowen and Cylla von Tiedemann. 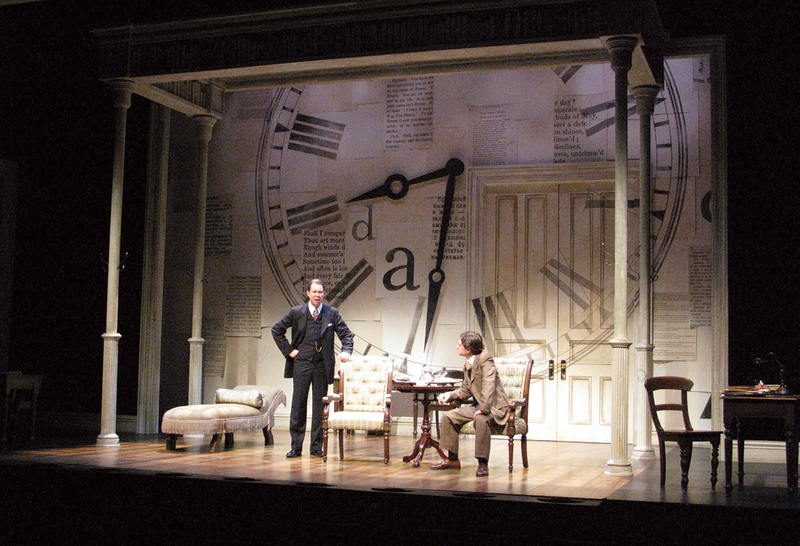 The giant clock on the wall of the set moved backwards. 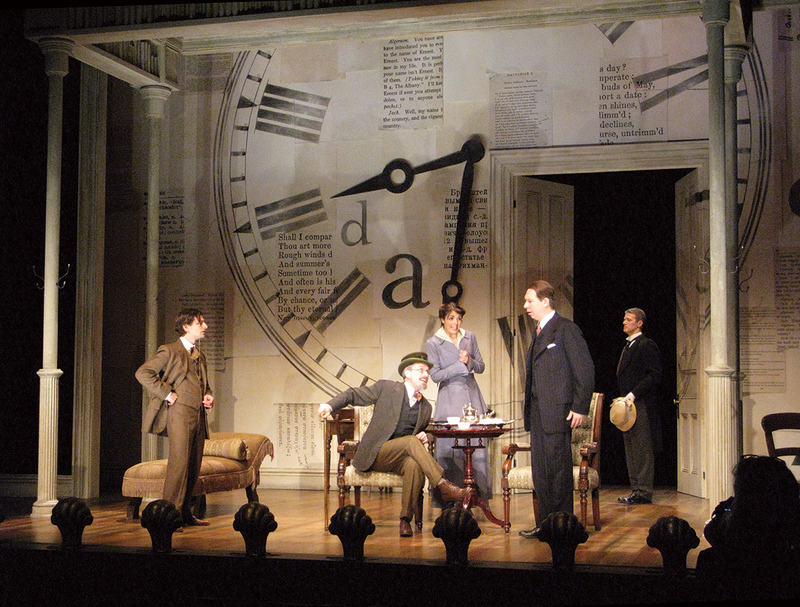 Click on any image to see it larger.